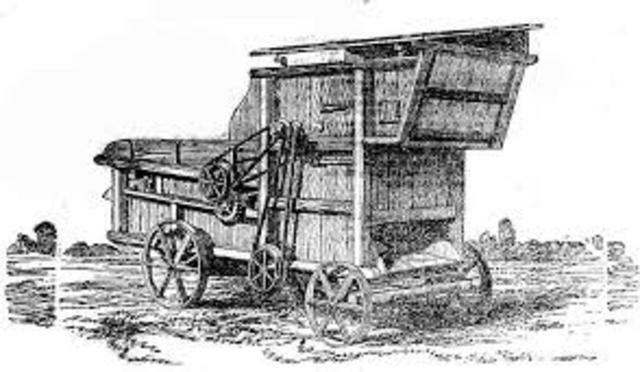 The seed drill, invented by Jethro Tull, created an efficient way to seed the fields. Previously, farmers had to throw the seed by hand causing uneven distribution, but now that it was pulled by a horse and spread seeds in even, straight rows, farming became much easier. 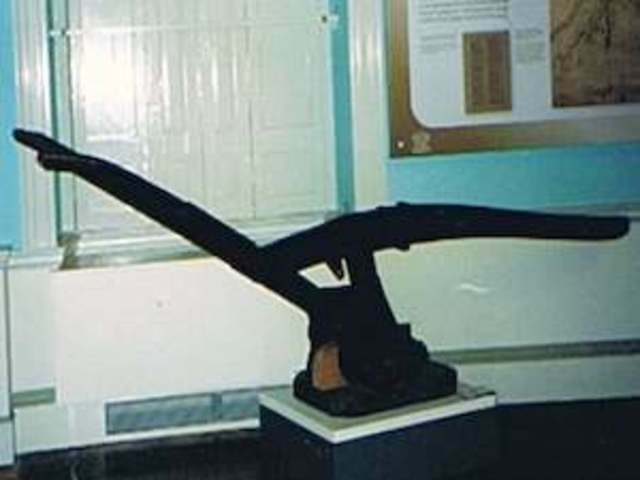 This plow was invented by Disney Stanyforth and Joseph Foljambe but was not the first iron plow. It was much lighter because, unlike previous plows, it was made of both iron and wood, instead of all wood. Another advantage was it was easily workable with two horses. It was originally only used commercially but in 1760 became available to the puplic. Eli Whitney, an American inventor, needed an efficient way to separate the cotton fibers from the seed and set out to find a way to do so. 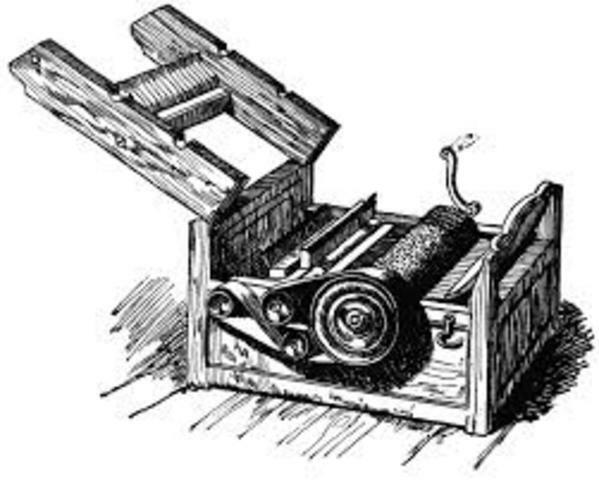 His invention of the cotton gin revolutionized the way cotton farmers worked. They no longer needed as many slaves and were able to produce more cotton. The cotton gin not only changed the process of cotton farming but encouraged the abolition of slavery. Field EnclosureThe movement toward field inclosure started in 1349 with the separation of the fuedal system in England, but it did not make much progress until around the seventeenth century. 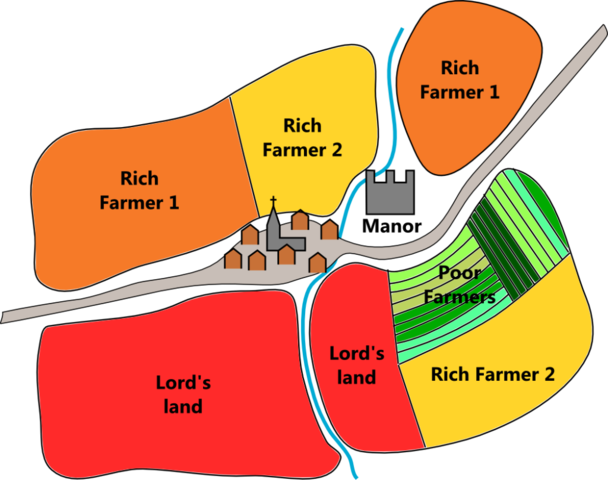 Parliament began passing laws allowing enclosures to yeomen, people who bought up much land to maintain and share-crop the land with other farmers. Fewer land owners led to fewer farmers needed forceing many families to move into the city in search of jobs. It wasn't until 1801 that enclosure was in full affect. Patrick Bell's invention of the reaping machine was one of the first steps toward modern farming techniques. He introduced a rotating wheel that fed the wheat into the cutting instrument that used a scissor-like motion to cut the wheat. Few of these were made and four were sent to the United States. First Lawn MowerEdwin Beard Budding, an English engineer, invented the first lawn mover. He was inspired by a cloth cutting machine in a local factory and decided that the same mechanism could be used to cut grass if it was mounted on wheels. He partnered up with John Ferrabee, a local engineer and began making lawn mowers. 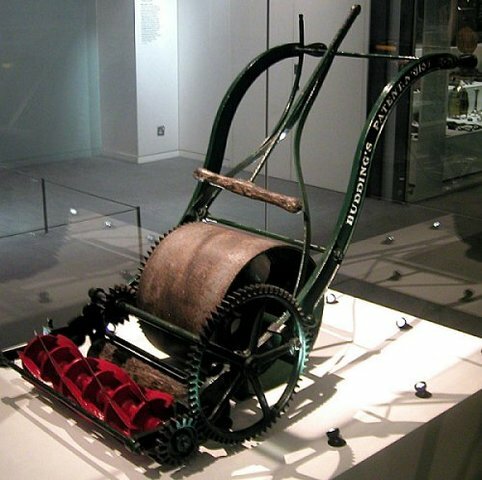 Their design of lawn mower was made of cast iron and was manually pushed. It wasn't until 1900 that self-propelled engines made it to the markets. Steel PlowJohn Deere was a blacksmith from Illinois who saw how hard farmers worked in the fields and wanted to help make their work more efficient. He knew how the dirt would stick to the cast-iron plow and that it would not stick to a highly polished steel moldboard. 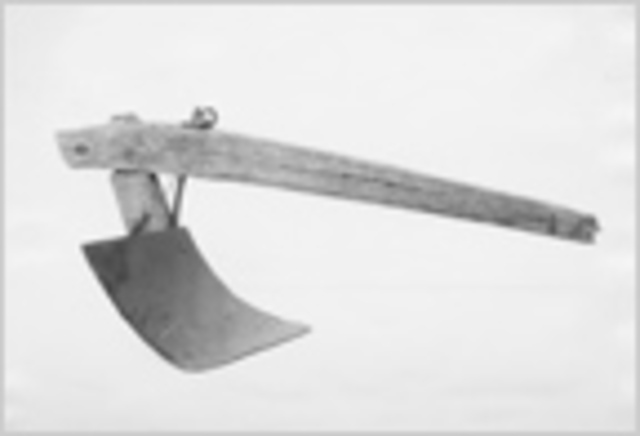 Hoping to make farmers' work easier, he set out to make a steel plow. 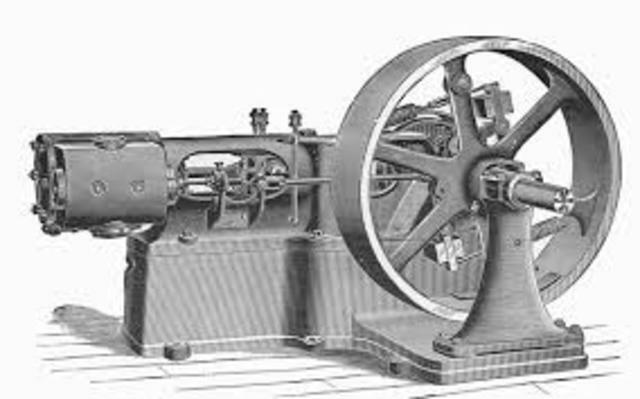 Previously, farmers plowed the fields on their own and with the help of slaves, but when Thomas Savery invented the steam engine, all of that changed. For awhile, horses were used to transport these engines between fields, but in 1870 a self-propelled steam traction engine was invented. This made moving these large engines less burdensome and more efficient to have because they were no longer running on long wires. Barbed WireMany farmers invented their own versions of barbed wires but none of until Michael Kelly, who was the first to properly invent the barbed wire, but had little success because the lack of promotion. 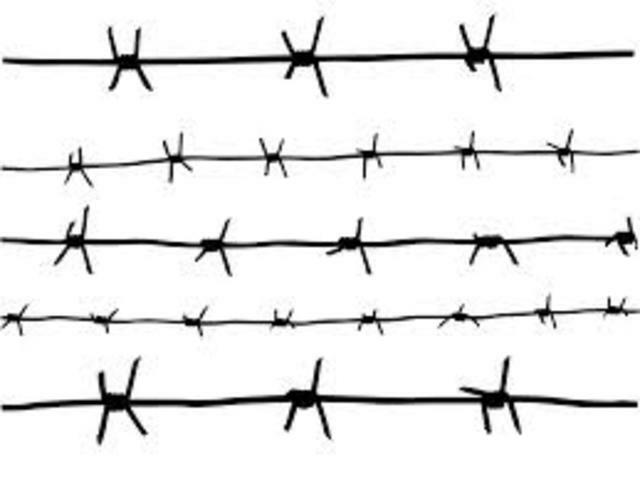 Consequently, Henry M. Rose is considered the Father of Barbed Wire. He started with metal spikes coming out of a wooken fence and after he got so much attention, several other men began developing their own design of barbed wire. 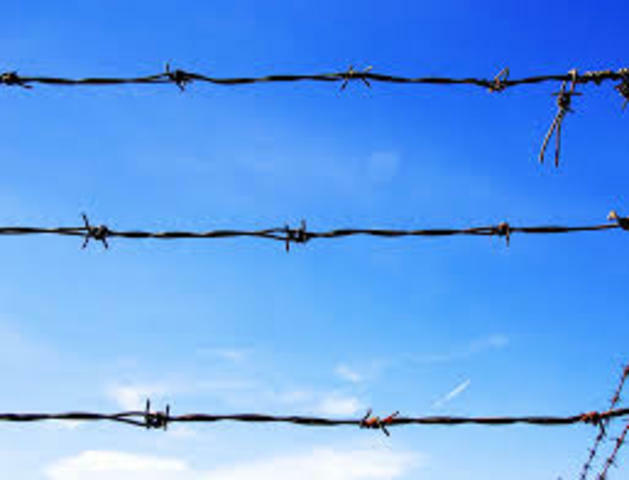 Barbed WireThe History of Barbed Wire (Video)Though his attempts to patent barbed wire were unsuccessful until November 24, 1874, Joseph Glidden continued and invented "The Winner".Then he partnered with Isaac Eldwood to create the Barb Fence Company. When brought to the U. S., his invention would soon change the lives of cowboys and landowners. Irrigation has been used for nearly as far back as histrory can tell us but did not make its public appearance in the United States until recently. It was rarely used during the 1800s but became popular when Nebraska was dependent on irrigation during a drought. 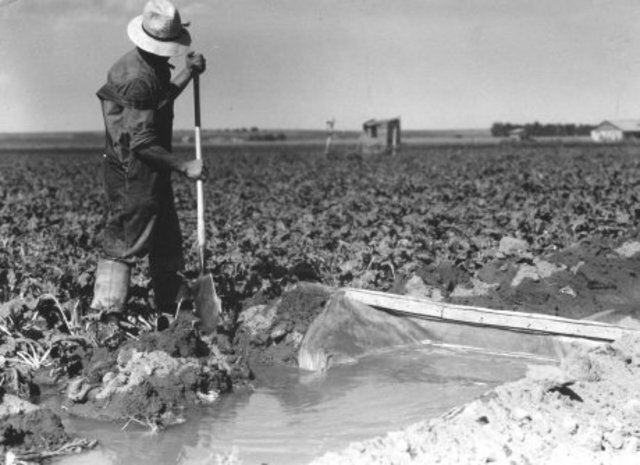 The growing population of irrigation in Nebraska spread throughout the country and has since become a popular way to water crops. 1909 Auto WagonAs technology advanced, the machinery became heavier and horses no longer could easily move the heavy equipment that the farmers were needing. 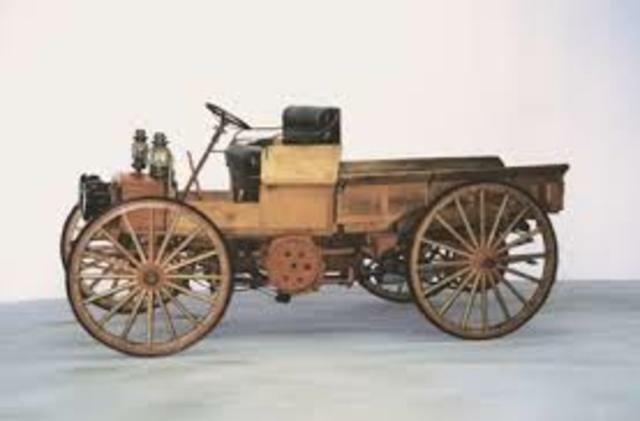 In 1907, International Harvester indroduced the first "Auto Wagon". It was the first auto truck and replaced the common wooden farm wagon. It has since advanced into a necessity of farmers world round. Agent Orange VideoAgent OrangeThe chemicals used for pesticides were originally intended to be used as chemical warfare agents during World War II. They were kept in secret until after the war when scientists discovered they could be used to keep bugs from ruining crops and were then repurposed as insecticides. Agent Orange is included in this list and was used as an insecticide until it was proved to have serious health defects, including cancer, birth defects and nervous system disorders. Crop rotation began in Holland and spread to Britian during 1951. This invention led to an increase in crop yeild and kept the ground more fertile by reducing the over working of the land. By rotating differnet crop through the fields, the nutrients were not exploided and the plants had higher production rates because of it.